Maddie and Tae Waitin’ on a Plane - To Napa! But creating amazing music isn’t all they can do! 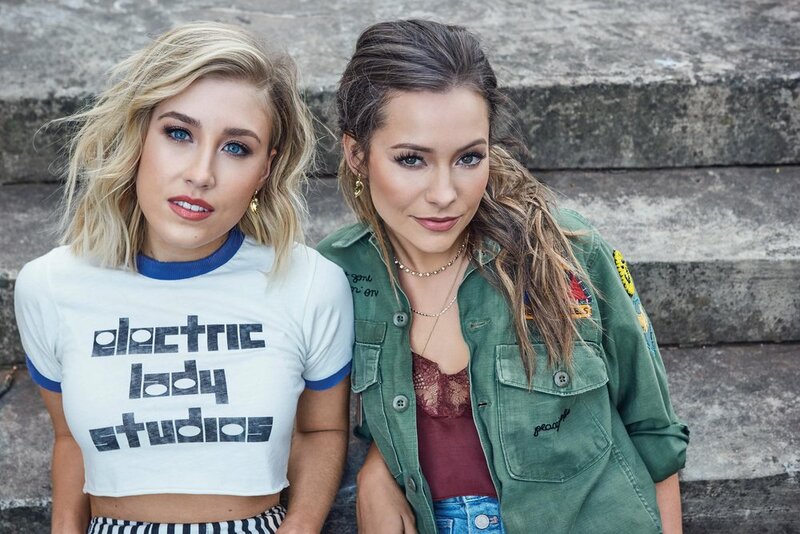 The pair partnered with Bloomingdale’s in 2016 to develop AQUA x Maddie & Tae, a Spring Capsule Collection embodying their sense of adventure and spirit. We could not be more excited to have these singer-turned-fashion-moguls back on stage amid the picturesque scenery of Napa Valley. Add wine and small bites to the mix and you’ve got a party! Maddie & Tae will hit the stage for a harmonious acoustic set with a couple other artists during our Artist in the Round Tailgate party. If you are one of lucky ones who get to this see performance live, get ready ... you are going to have yourself a good time. If you didn't win tickets this year, don't worry! We will record the festivities and will be sharing them online. Make sure to follow us on Facebook, Instagram and Twitter so you don't miss a thang!